Rare Early 20th Advertising Piece...White Ironstone Scale Shaped Pen Holder & Paperweight for AVERY. 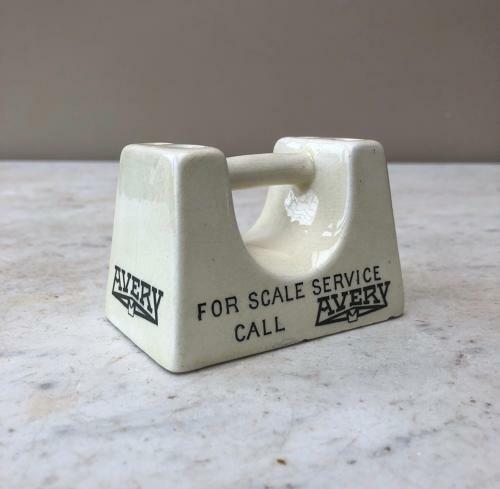 "FOR SCALE SERVICE CALL AVERY" on both sides and AVERY on each end. Spaces for four pens. Condition wonderful on top and all sides, when you turn it over one small chip and one weeny chip on the base shown on the last photgraph not visible when upright.